Well kids its supposed to be a scorcher this week (again). I know we were all hoping for fall to arrive, but that's just not in the cards. I hope you have your A/Cs blasting but if you don't (or if you are just in the mood) stop by the newest trendy ice cream spot: Snow Station. 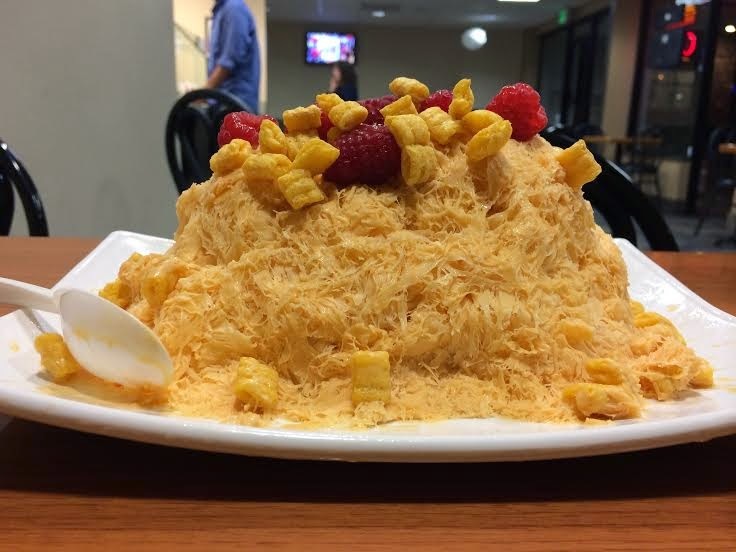 Snow Station serves shaved "snow". No it's not a snow cone that you pour horribly sweet syrup on top and melts all over your hand. Shaved snow or as I call it ice is just that - shaved. ice. The snow is first flavored - while its still liquid obviously - then frozen in large batches. Then when you place an order, the workers (I don't know what to call them) put the big batch in a machine that literally shaves the ice like you would gyro meat. It comes off in neat shavings and then you can put toppings or syrups on it. The creations are endless. Snow Station offers you big, bigger or biggest. You get to choose toppings of all sorts to go on your shaved snow. I made the mistake of putting mochi on it. It was weird, don't do it. But there are tons of options, and they are quite various; just like any other Pinkberry/Fro-yo spot. Lastly, you can put different sauces on top. 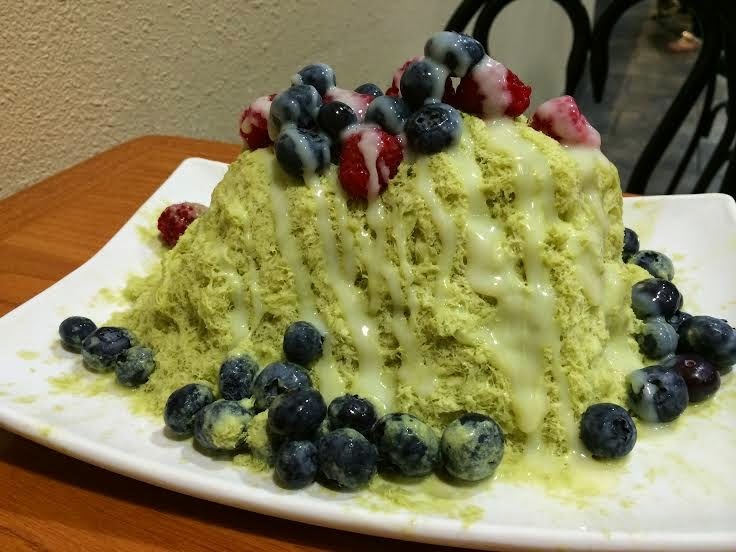 I opted out of this option, but my friend got the condensed milk on her Green Tea snow. It was very sweet, but I mean...I didn't complain. For a refreshing treat that won't bloat your stomach like ice cream, or make you thirsty like fro-yo (or is this just me? 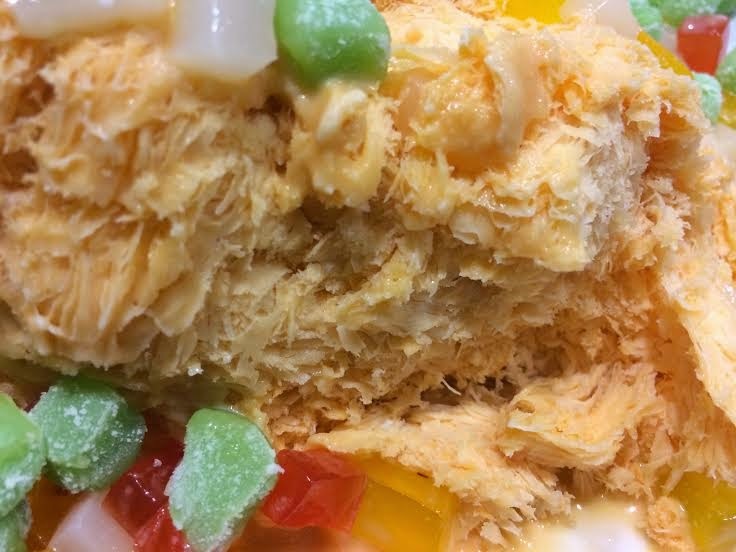 ), try Snow Station. It is light, refreshing and has a ton of different options to help you create the perfect sweet treat. It also isn't badly priced, and is pretty close off the freeway in Tustin. Definitely stop in! I just can't wrap my head around this.